Halloween is one of my favourite days of the year. With little ones it’s easy to get caught up in all of the excitement. Here are a couple of projects that we made for the holiday. We went to a Halloween party and brought these mummy cupcakes as dessert. They are chocolate cupcakes with white icing, and red M&M’s for eyes. 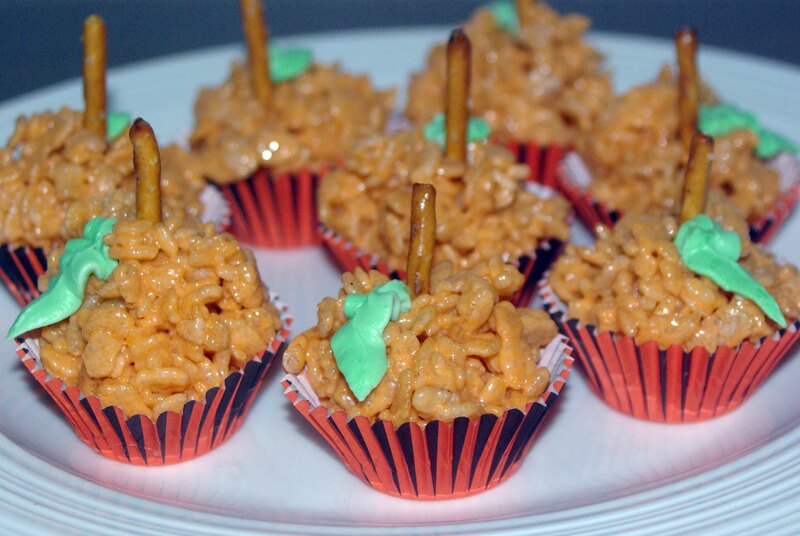 These treats went to one of my boys classes for a Halloween party. I found the instructions here. I took some liberties with the recipe and added pretzels for stems and green frosting leaves. 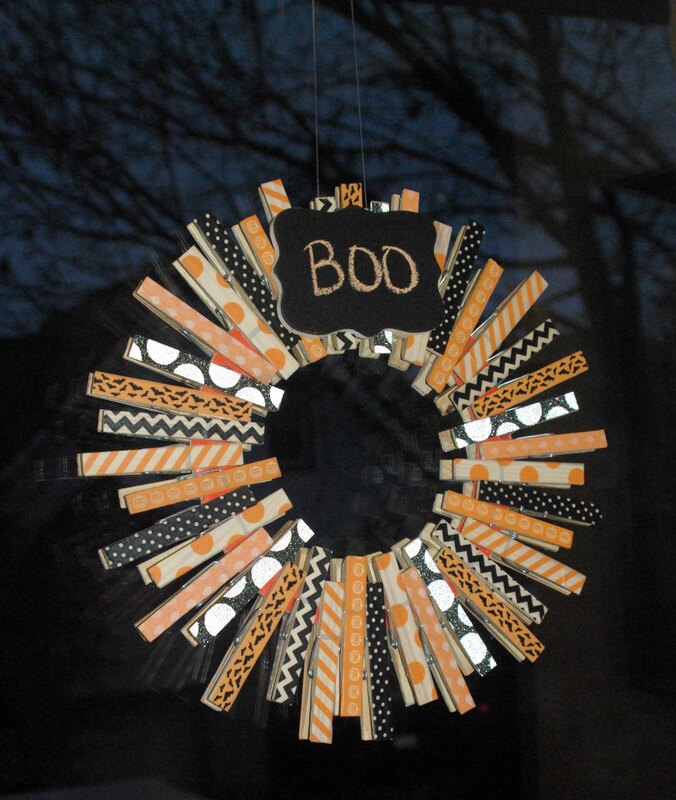 I copied my own idea from last years Christmas wreath and made a similar wreath for Halloween with orange and black washi tape. Such creative treats! How fun!